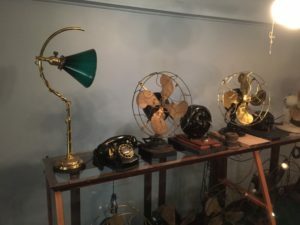 As you walk by the windows of Chestertown Electric you aren’t likely to see the shiny new window displays like many other stores in town – instead you will be transported back in history to a time before cellphones and personal computers. Most of the items in this shop are from before 1930. Stop by and see the evolution of technology. Most items are fully restored and working (it’s no lie that they made things to last better back then!). 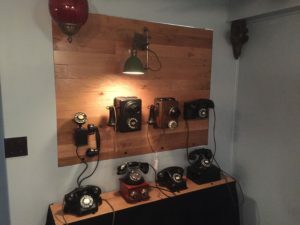 There are dial phones hanging on the wall that you can actually call and hear them ring. Cool down with the wind from a 1911 desk fan. See the evolution of the light bulb. Whether you are looking for a conversation piece for you house, or just interested in learning some history, stop by and check out what Chestertown Electric has to offer!